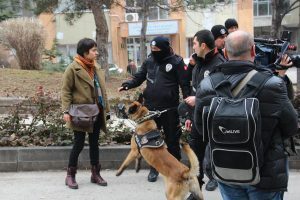 At least 11 people were detained after police used pressurized water and pepper spray to disperse a group of protesters in Ankara on Friday. 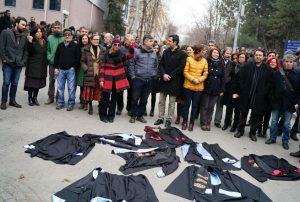 The group gathered in front of Ankara University to protest the recent government decree that led to dismissals of 330 academics over coup charges. The detainees included 5 academics. 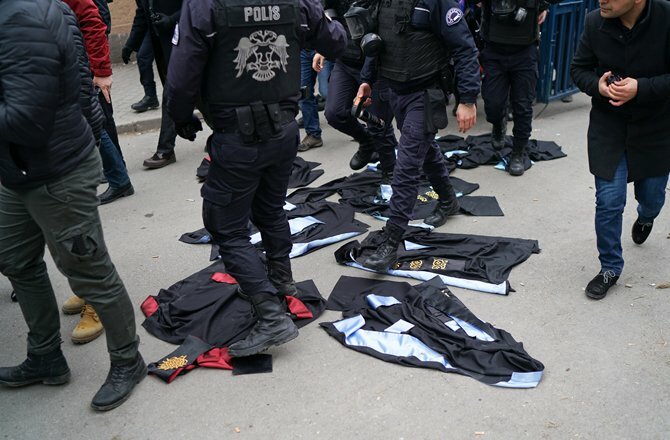 Police are photographed stepping on the gowns that the academics laid on the floor in protest.